Samuel Broder, M.D. 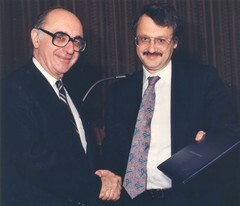 (right), former Director, National Cancer Institute from 1989 to 1995. On left is E. Michich.